In Myanmar, the interface between agrochemical suppliers and smallholder farmers is the local agricultural input retailer. Most of these retailers own small shops and resell fertilizer, pesticides and seeds and their fertilizer and pesticide knowledge is limited. In practice, farmers are using inappropriate types of fertilizer and quantities, as they are not aware of balanced fertilization and nutrient requirements of their soil. They buy fertilizer on the basis of lowest price per bag and not on price per unit of nutrient. A survey of retailers in Southern Shan State show that many retailers get information about how to use pesticide from agrochemical suppliers and/or farmers. The Department of Agriculture released a list of 45 recommended pesticides for an anticipated Fall Armyworm outbreak this year with little explanation of when to use, which product is better and why. Retailers have expressed that they rely on farmers to know what their input demands will be for the upcoming season while farmers have said they rely on their retailers to know how to deal with pests and disease. 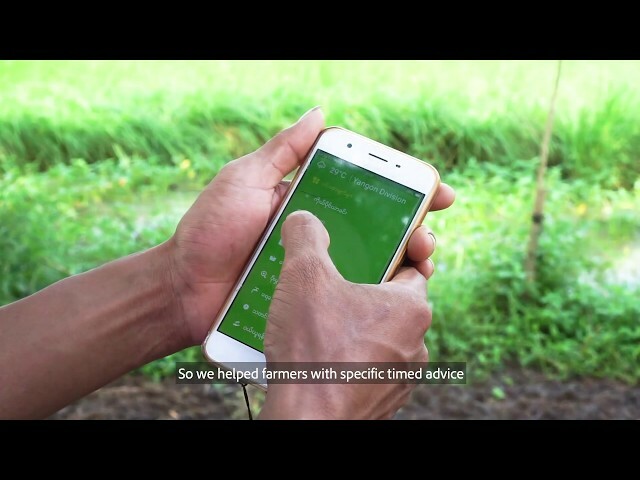 With smartphone penetration of close to 80% in Myanmar, Impact Terra’s Golden Paddy platform and mobile application has far reaching capabilities. The app can disseminate much needed information to both retailers and farmers to 1) promote the correct use (i.e. quality and quantity) of agrochemical inputs and 2) improve the timing of application. We are working on a recommendation engine that predicts the timing of crop stages and ties this with actionable advice and alerts. The alert will be linked to the relevant agricultural advice (e.g. quantity of input to be applied), information on the product and details for the retailers where the farmer can obtain the products. We believe the improvement of retailer and farmer knowledge and services on specific fertilizer, plant nutrition and pesticides will lead to more efficient use of inputs by farmers increasing their yield while reducing the negative impact on the environment.